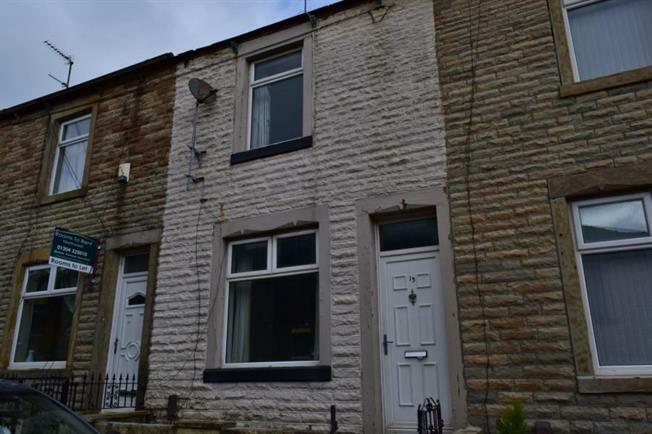 2 Bedroom Terraced House For Sale in Burnley for £25,000. This property is part of our Chain Free Professional filter. PUBLIC NOTICE - 13 Wren Street, Burnley, BB12 6QG - We have received an offer of 26,000. Any interested parties must submit any higher offers in writing to the selling agent before an exchange of contracts takes place. A two bedroom terraced house in need of refurbishment throughout and is an ideal for investors. Comprising of 2 reception rooms, kitchen, shower room and a rear yard. Located within close proximity to the motorway network and the town centre. No onward chain! Double glazed window, wood flooring, radiator, meter box, one ceiling light point and gas fire with feature surround. Double glazed window, radiator, ttv point, feature fireplace and surround, one ceiling light point, two wall lights and access into kitchen. A range of wall and base units, integral electric oven, hob and extractor fan, space for washer and fridge-freezer, sink and drainer, spot lighting and access into yard. Jacuzzi bath, separate walk in power shower, low level wc, wash hand basin, tiled flooring, tiled to floor, chrome radiator, spot lighting and frosted double glazed window.